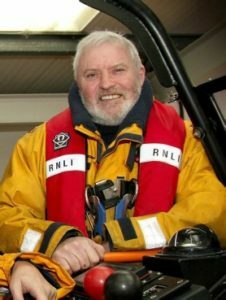 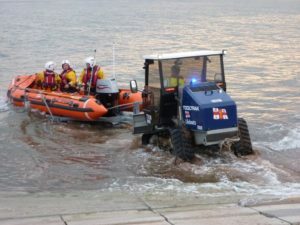 Inshore lifeboat George Bearman II launched on Saturday 20 April at 2.07pm. 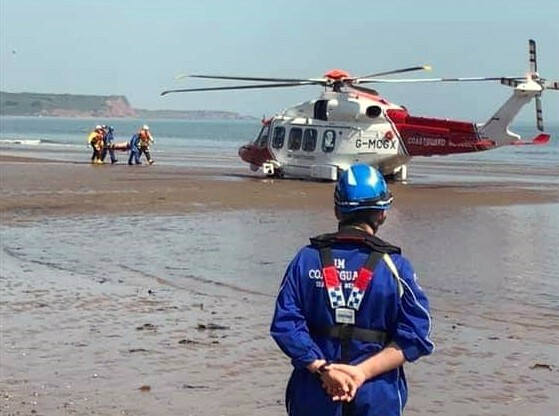 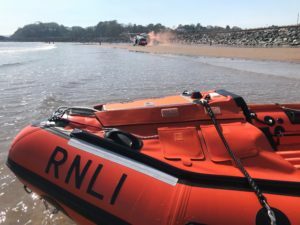 A 65-year-old woman was suffering hip injuries at Dawlish Warren and needed pain relief urgently. 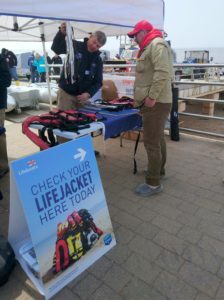 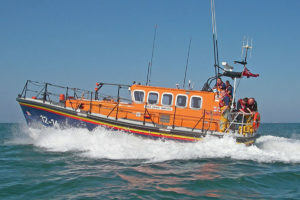 Shore crew volunteers also attended a lady with chest pains, at the time of launch, near the boathouse. Another busy summer season starts for RNLI crews around the coasts of the British Isles and one of the most frustrating shouts must be to drivers who took stupid risks on causeways. 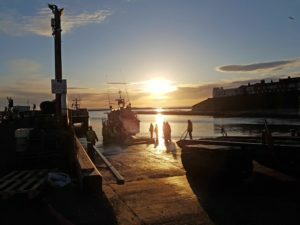 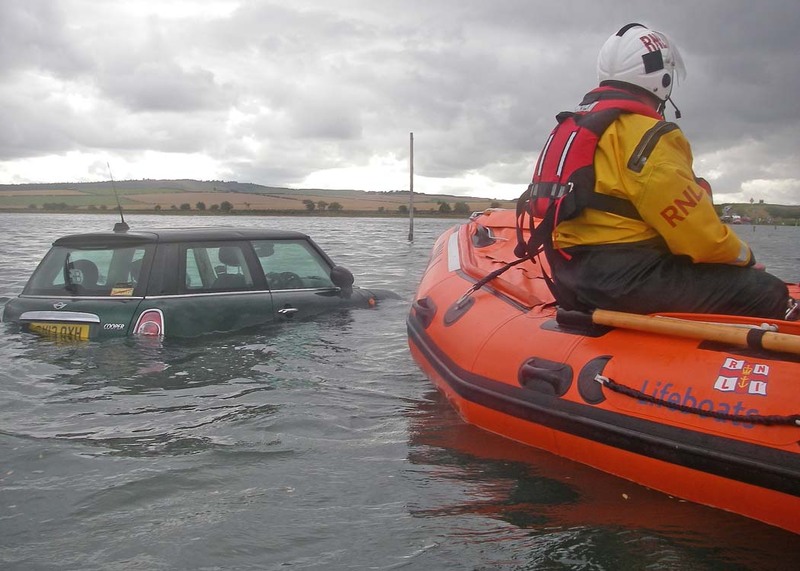 Holy Island has a well-built causeway with refuges built on its length for those caught by the tides to take shelter BUT STILL Seahouses Lifeboat attends shouts where the vehicle occupants are shivering on the roof of their semi-submerged vehicle. 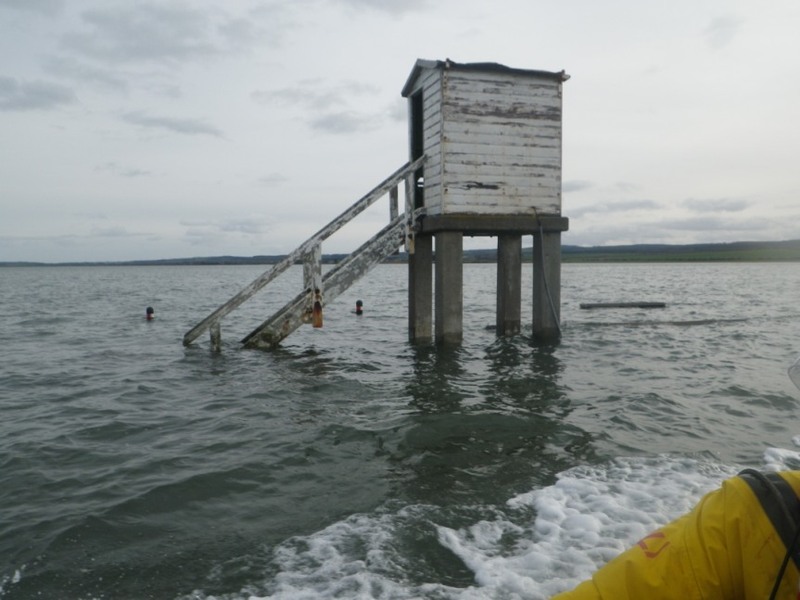 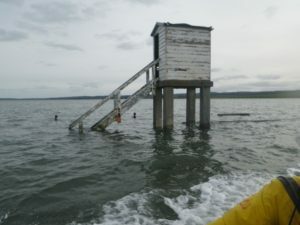 To avoid this serious danger, electronic warning/information signs have been erected on the approaches to the causeway BUT STILL people are trying to beat the tide. 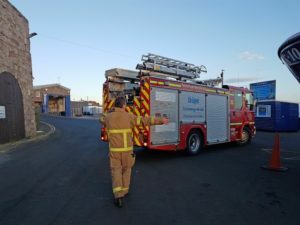 Short of installing railway crossing style barriers it is difficult to see what else can be done to stop people risking themselves and others. 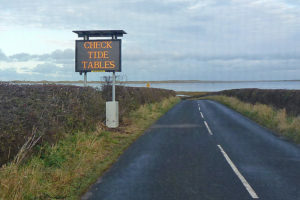 Tides happen twice a day at predicted intervals. 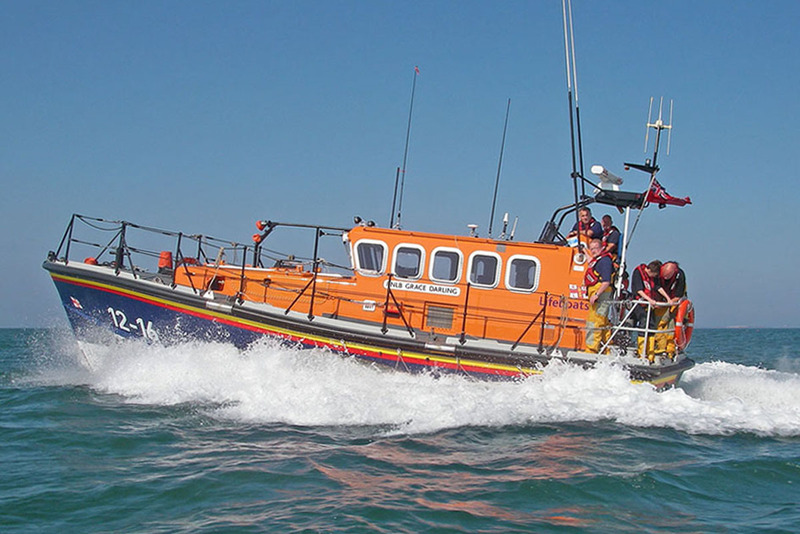 Lifeboat crews potentially risk their lives every time they launch and once on a shout cannot be diverted to another emergency. If you plan to cross a causeway, PLEASE CHECK THE TIDE TIMES and respect any warning signs. 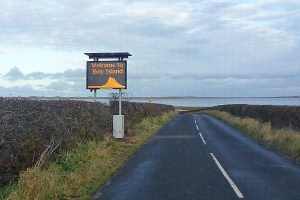 SARN Ed. 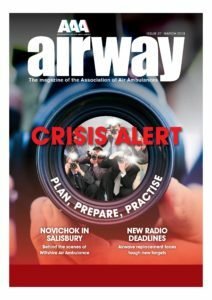 On the morning of 7 April, Solent Coastguard tasked both lifeboats to search for a missing person in the river Exe, near Imperial Recreation ground. 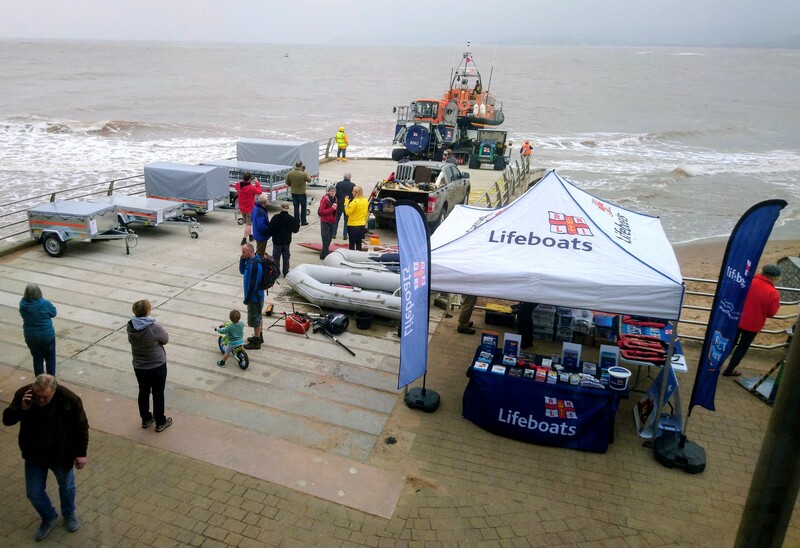 Inshore D class lifeboat George Bearman II launched at 9.17am and Shannon class lifeboat R and J Welburn launched at 9.26am. 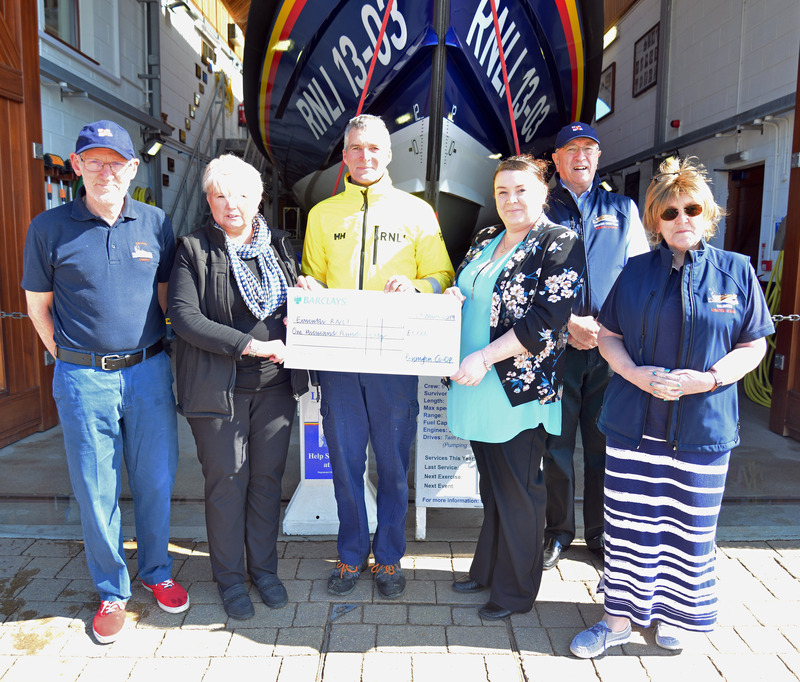 Photograph : 1 : Cheque presentation : left to right, Dave ATKINSON, Exmouth RNLI Fundraising Treasurer; Brixington Southern Co-Op Customer Services Asst., Barbara PARKER; Exmouth RNLI Coxswain, Steve HOCKINGS-THOMPSON; Brixington Southern Co-Op Manager, Kirsten WADE; Robin HUMPHREYS, Dept. 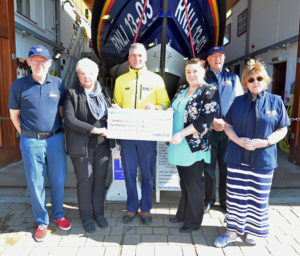 Chair, Exmouth RNLI Fundraising Committee and Pat Atkinson, Exmouth RNLI Shop Manager. 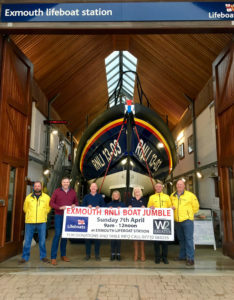 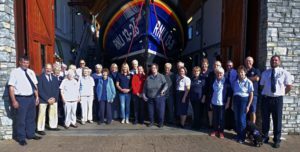 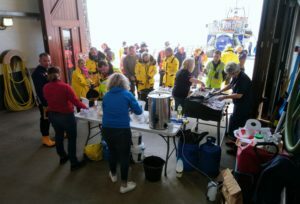 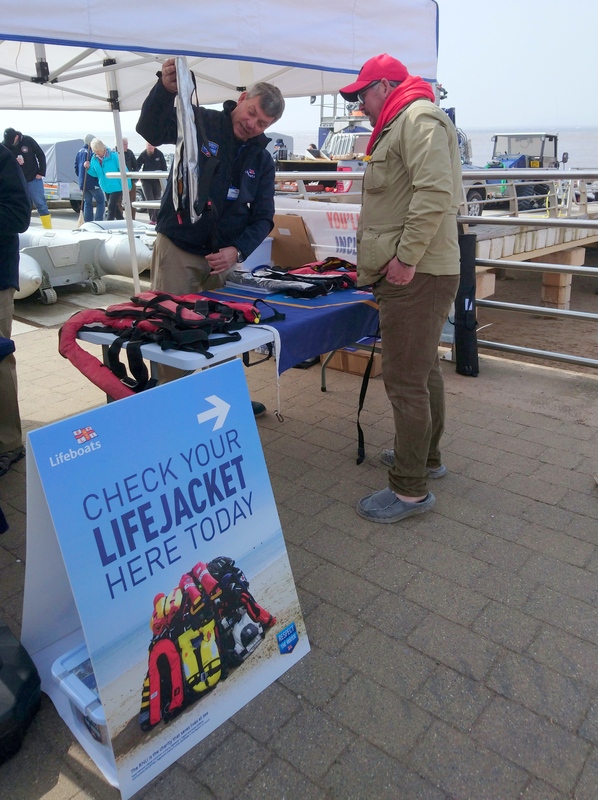 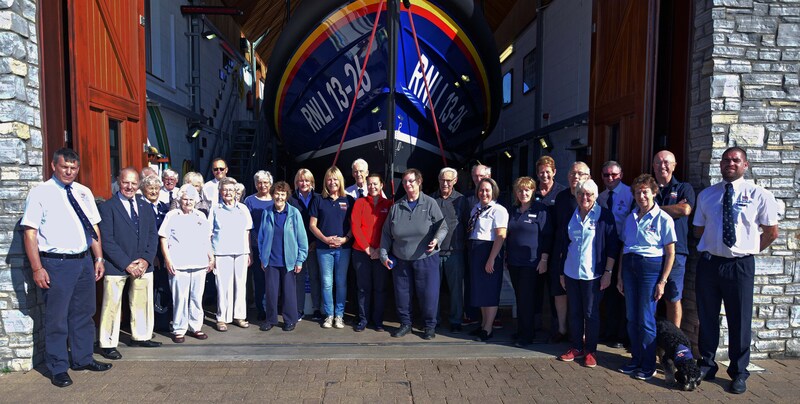 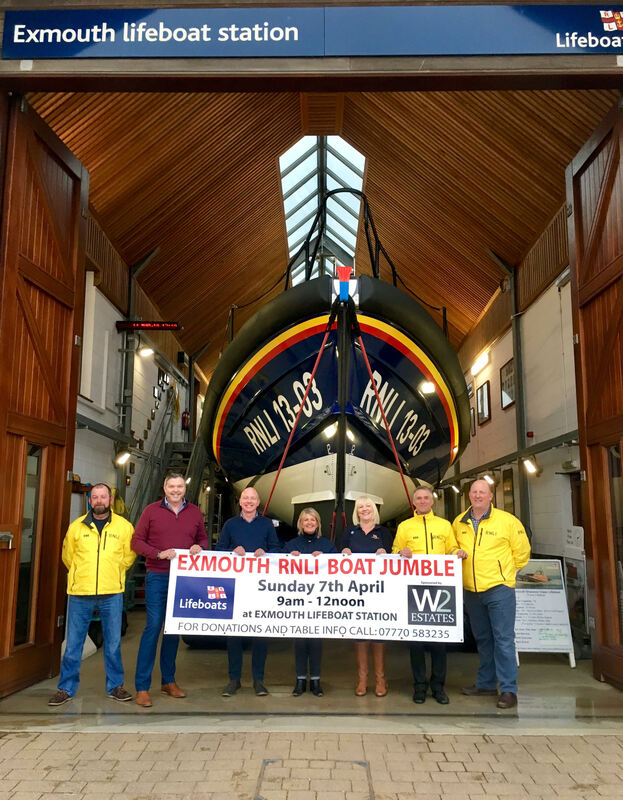 The staff at Exmouth’s Southern Co-Op in Brixington have raised an incredible £1,000 for Exmouth RNLI in their 2018/19 year long fundraiser for the local lifesaving charity.